Article from St. Louis Post-Dispatch by Robert Patrick. 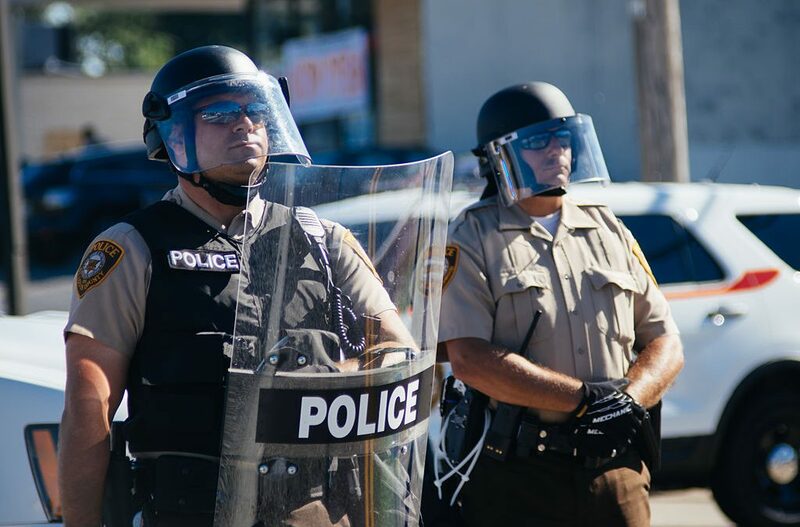 ST. LOUIS • An undercover St. Louis police officer who was beaten by colleagues during protests in 2017 later described the attack as a “free for all” and told someone at police headquarters that he was beaten “like Rodney King,” according to recently released court documents. Detective Luther Hall’s statements about the night he was attacked were used by the FBI to justify searches of four officers’ cellphones and associated accounts as agents investigated both Hall’s attack and the arrest or detention of other protesters following the Sept. 15, 2017, acquittal of former St. Louis police Officer Jason Stockley. They provide the most detailed retelling of Hall’s version of the attack and new information about the resulting FBI investigation. That investigation resulted in charges in November against four police officers. Officers Dustin Boone, Randy Hays and Christopher Myers were accused of the physical assault and charged with depriving Hall of his constitutional rights and conspiracy to obstruct justice. Myers also is charged with destruction of evidence, accused of destroying Hall’s cellphone. Officer Bailey Colletta was accused of lying to a federal grand jury investigating the attack. All have pleaded not guilty. Hays’ lawyer, Brian Millikan, declined to comment. The other lawyers did not respond to requests for comment Monday. Read the entire article at the St. Louis Post-Dispatch. European Union Limiting Citizen's Access to News? OK, this is now 2 years old. How are we, the populace, supposed to respond to it? If true, then have the cops still been on duty? Why? What has happened since the incident? The attack, “Friendly Fire”, took place in 2017. My calendar claims we are now in 2019. Reprehensible action to say the least, but these days, as above noted, old news.